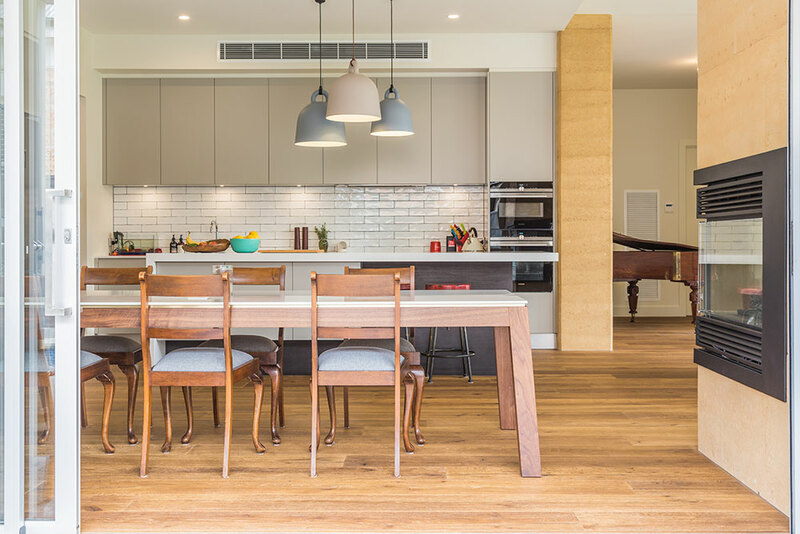 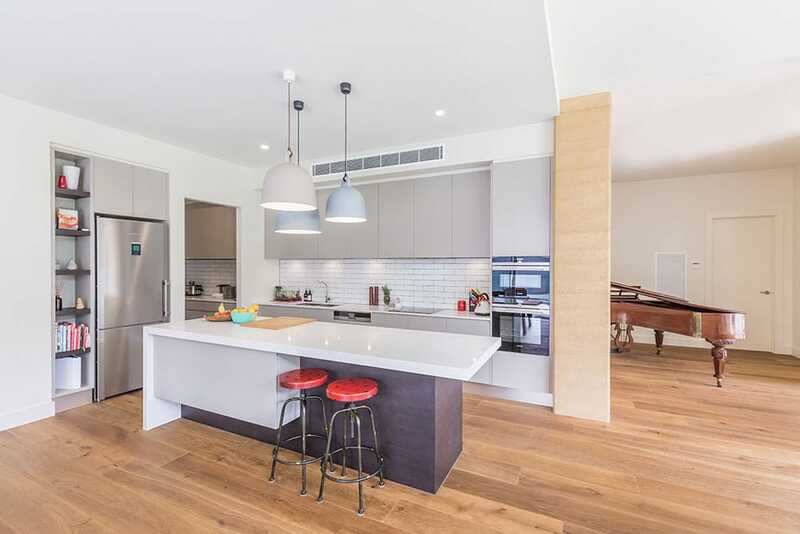 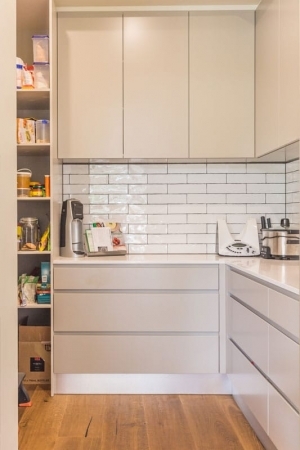 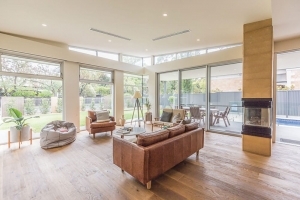 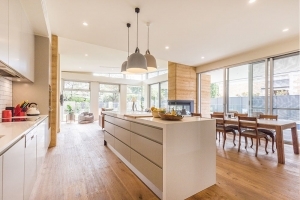 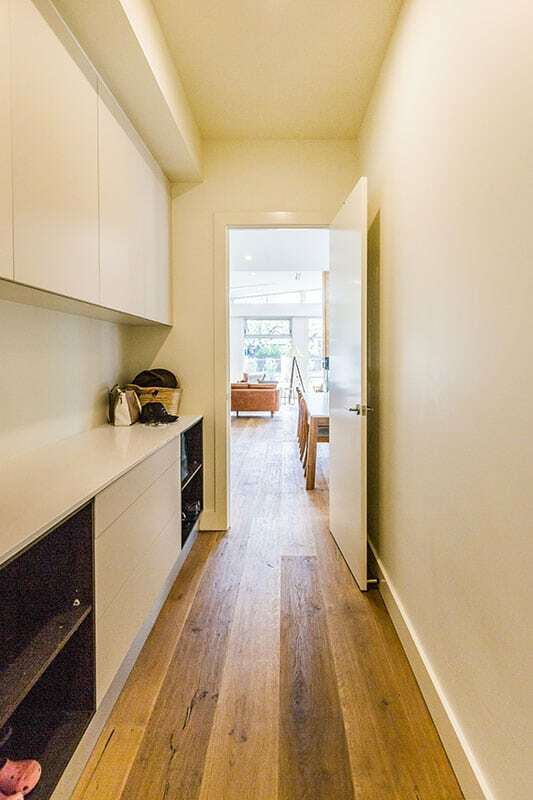 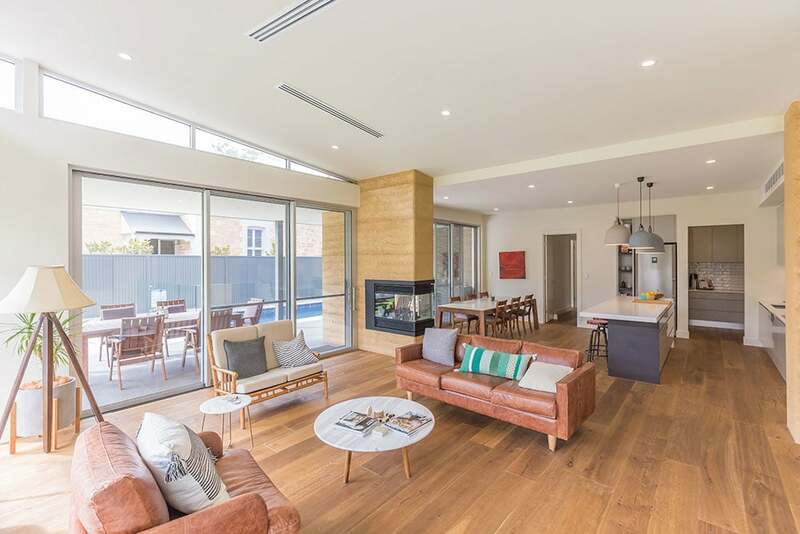 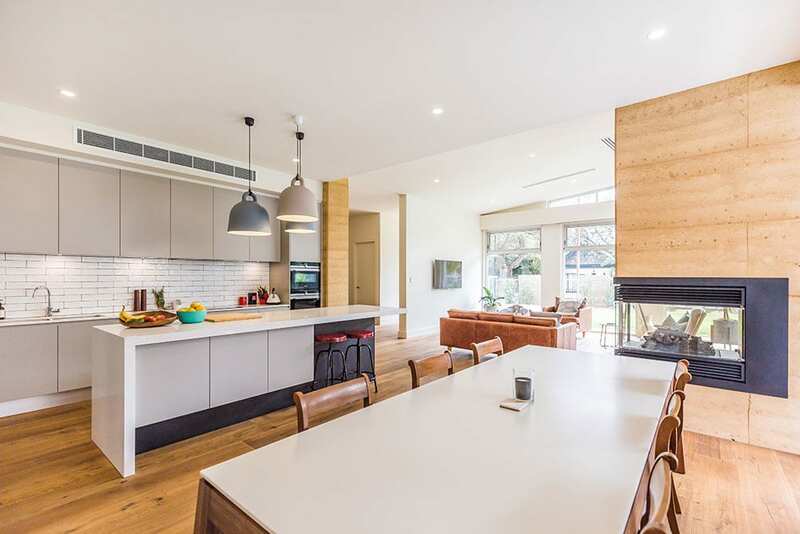 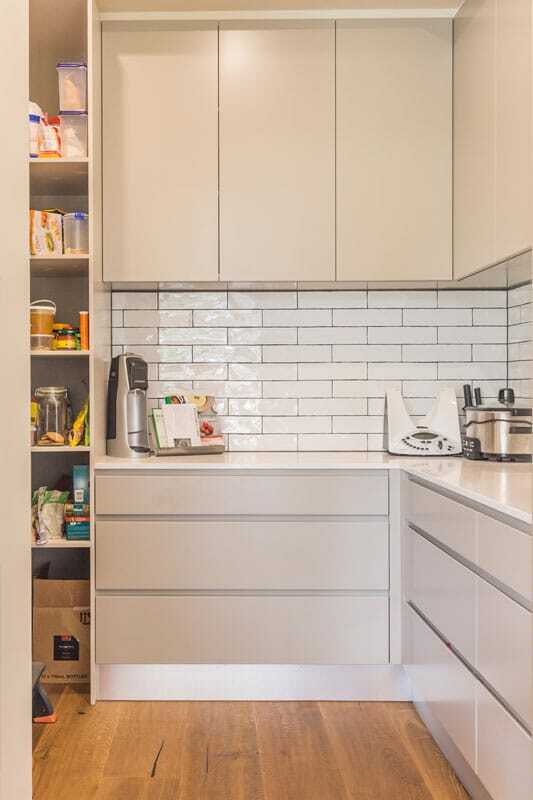 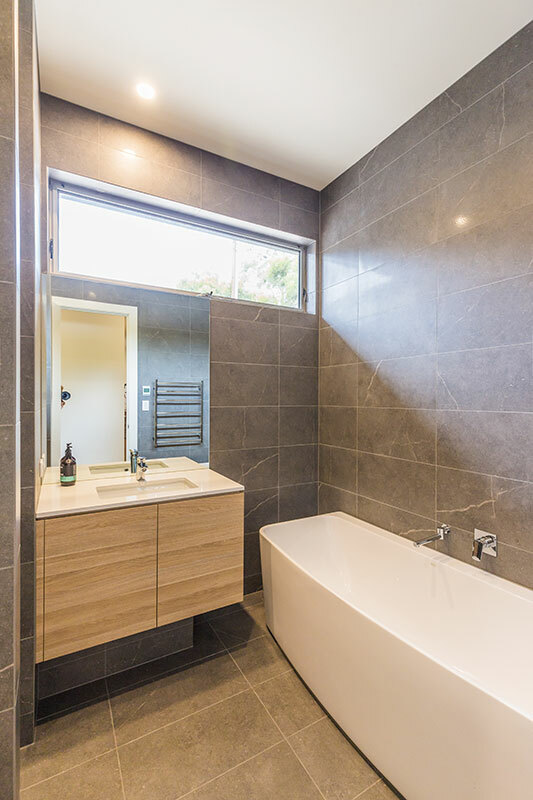 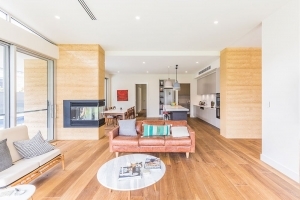 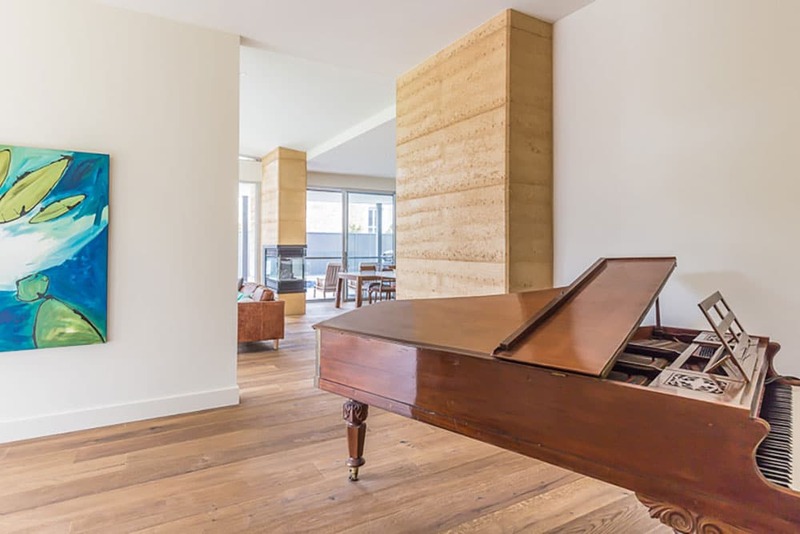 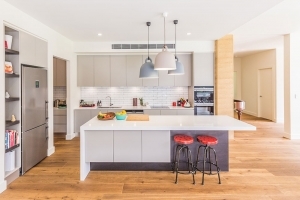 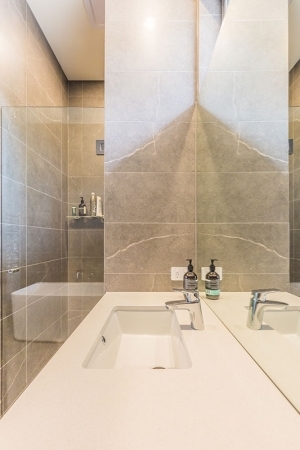 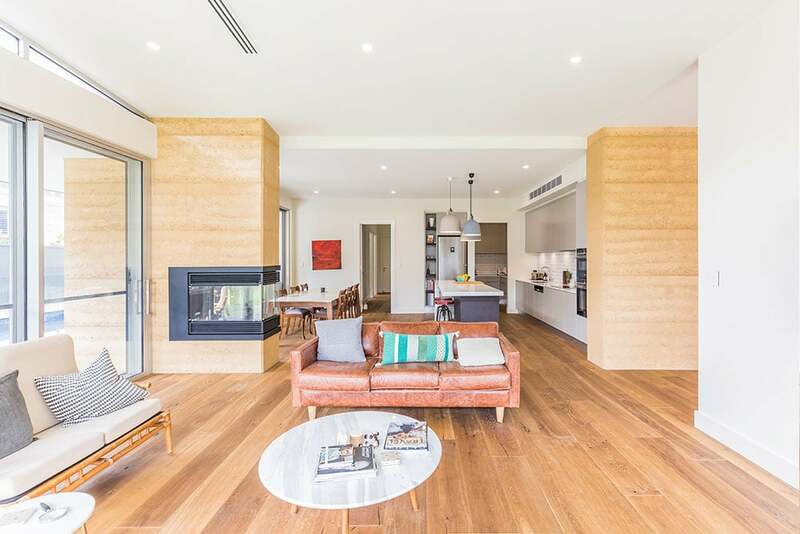 The home bursts with the highest quality fixtures and finishes, including underfloor heating in the ensuite and bathroom, bespoke 2-pack kitchen and architecturally appointed bathrooms. 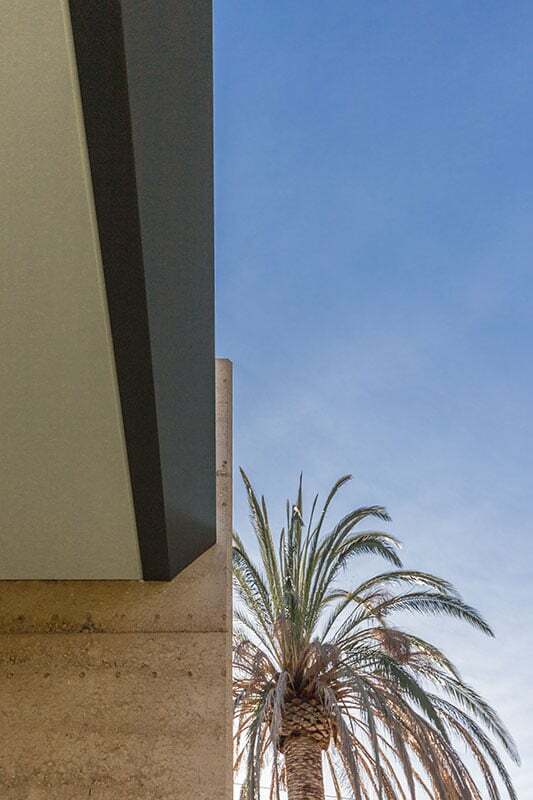 The covered alfresco overlooking the pool is equipped with all necessary amenities, it’s every entertainer’s dream. 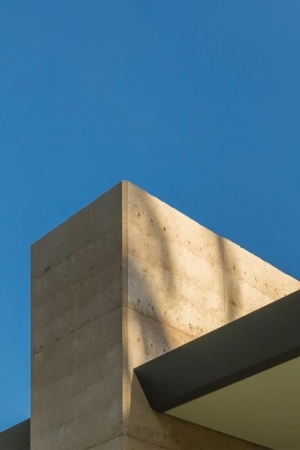 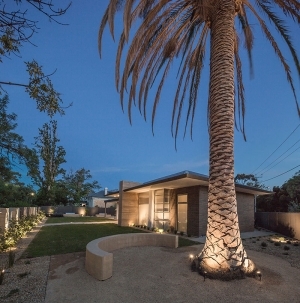 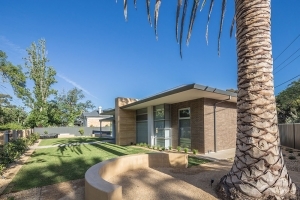 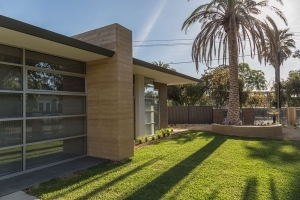 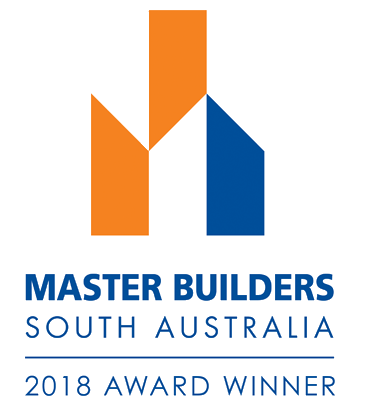 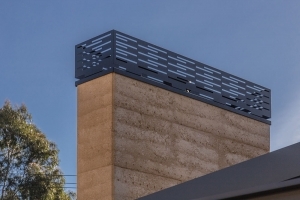 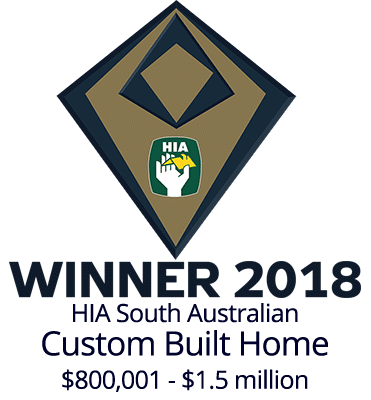 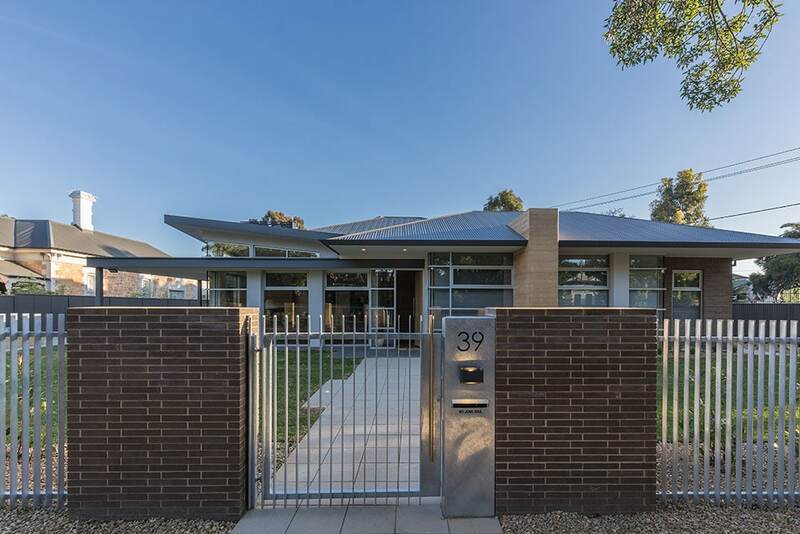 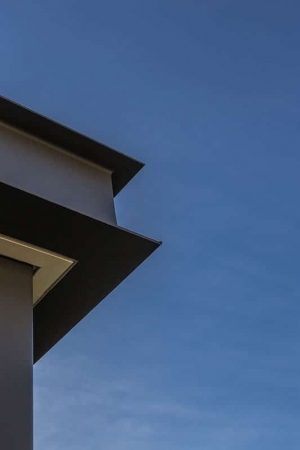 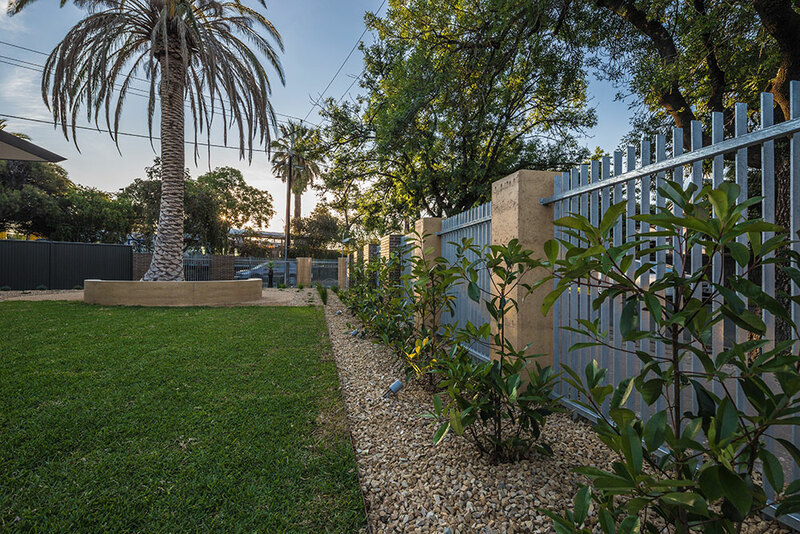 The refined material palette of Yankalilla rammed earth and imported 47mm linear bricks are thoughtfully combined to be sympathetic to the streetscape, paying homage to the character area and adjacent State listed Millswood House. The subdivided, corner site parallel to a trainline posed significant challenges but lead to the unique design solution of transferring the traditional backyard to a private north-facing front and side play space. 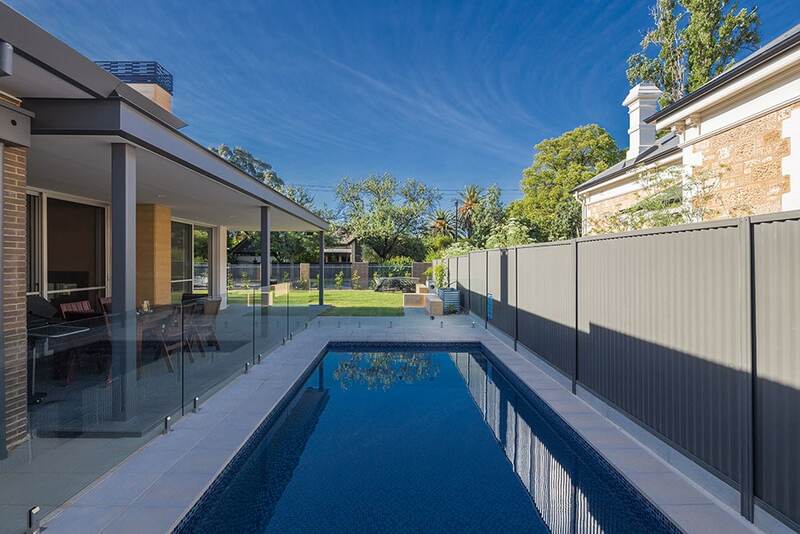 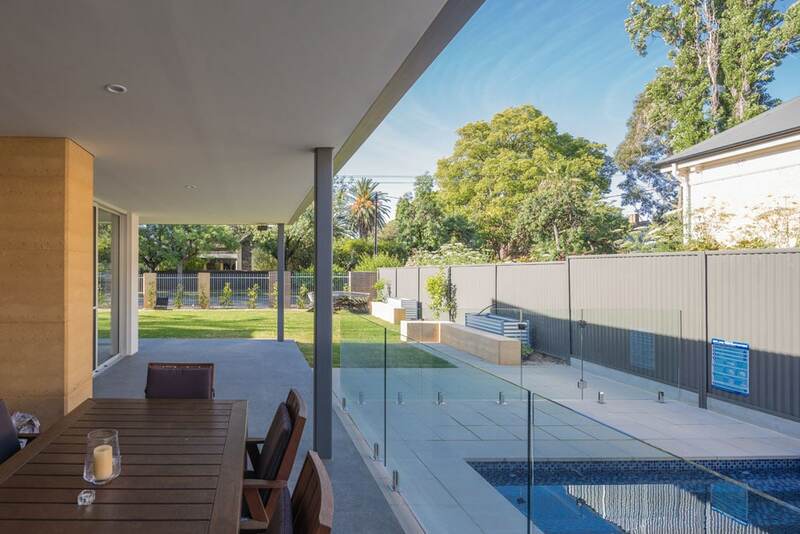 The considered orientation maximises passive design principles with wet areas to the South Western elevation and main living areas to the Northern aspect. 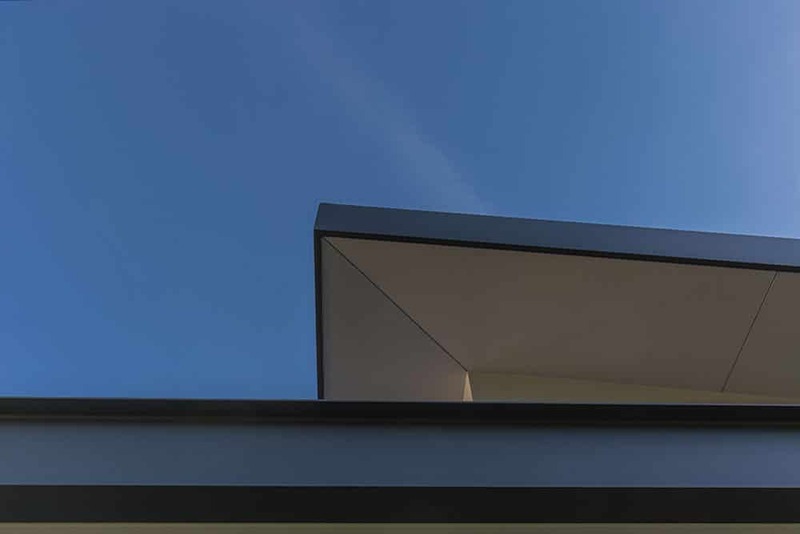 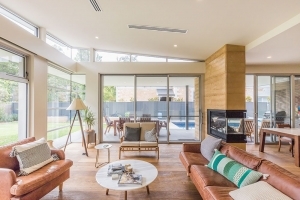 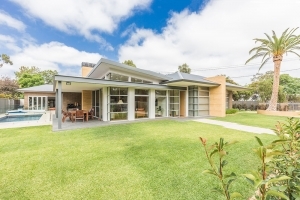 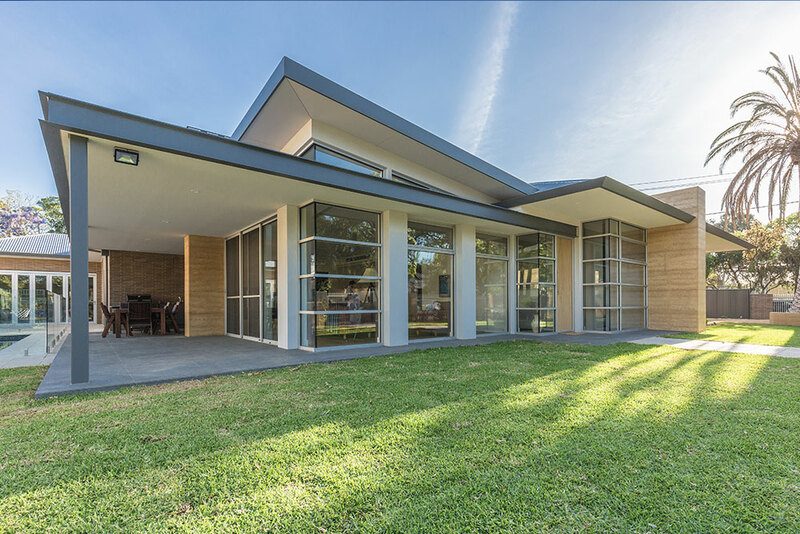 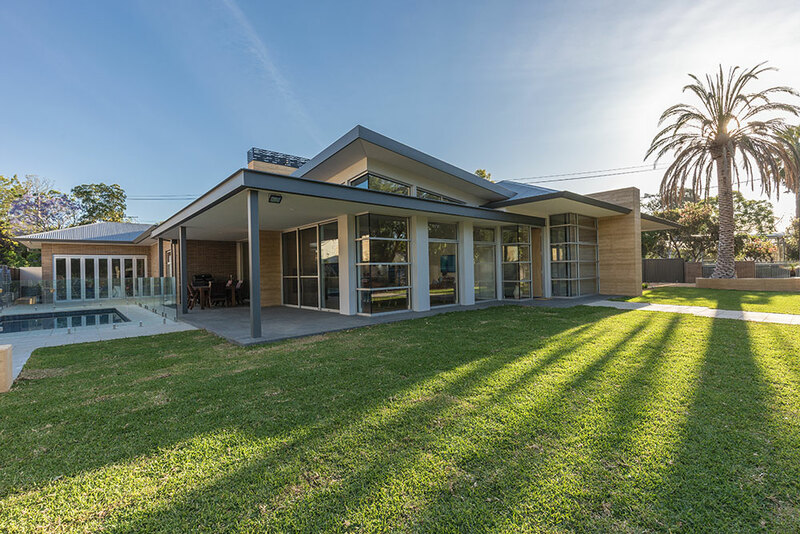 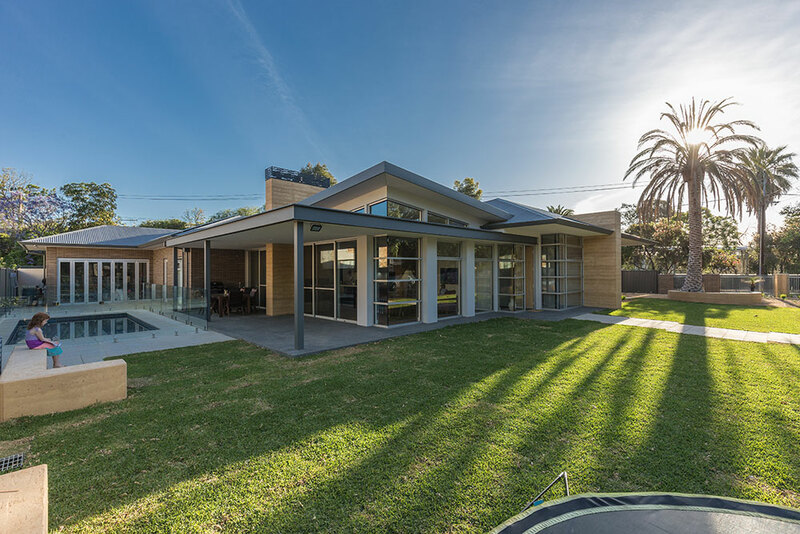 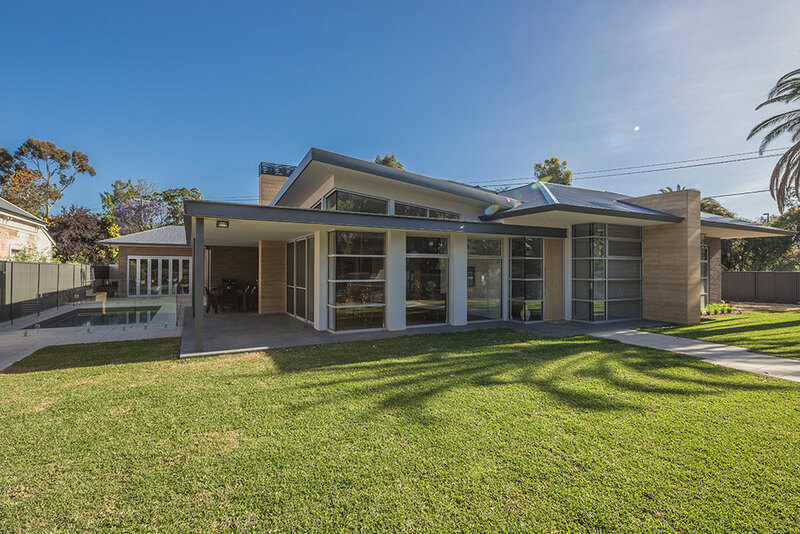 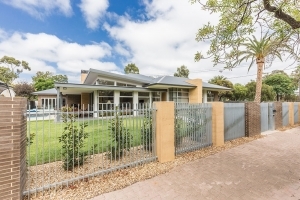 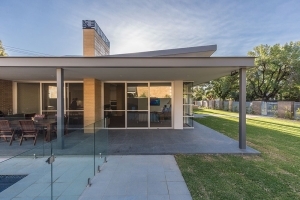 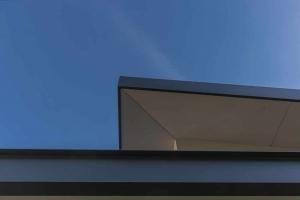 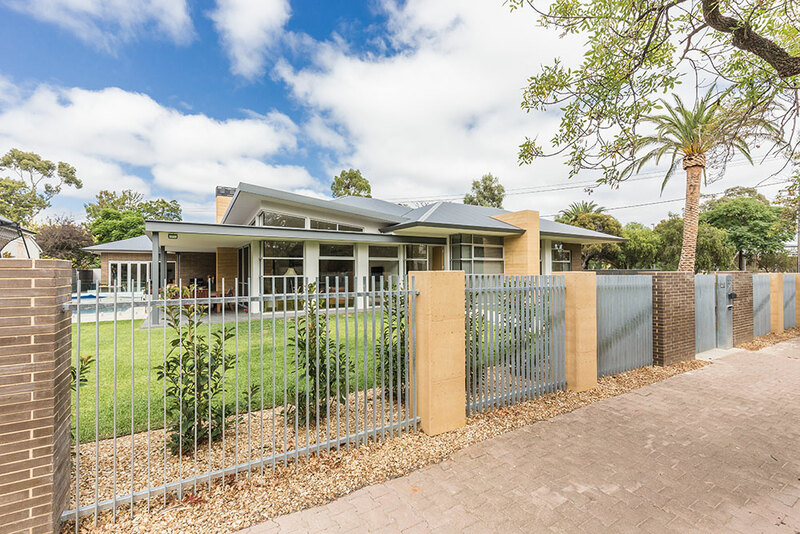 There was a high complexity of build on this project which required innovative building solutions, notably, the inverted butterfly ceiling offering 4.2m ceilings in the open plan kitchen, living and dining area and exposed PFC beam on the alfresco structurally allowed for a slender and unobtrusive verandah. 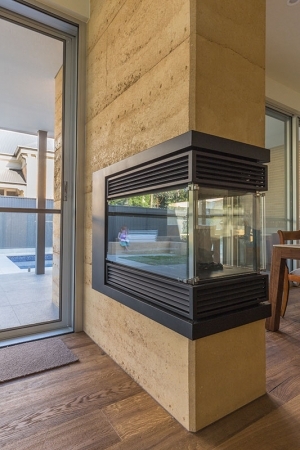 The most challenging structural and aesthetic detail combining multiple trades is the three-sided fireplace encased in rammed earth with a custom designed and constructed cowl. The main living area incorporates large expanses of double glazing which reduce noise pollution from the adjacent railway. 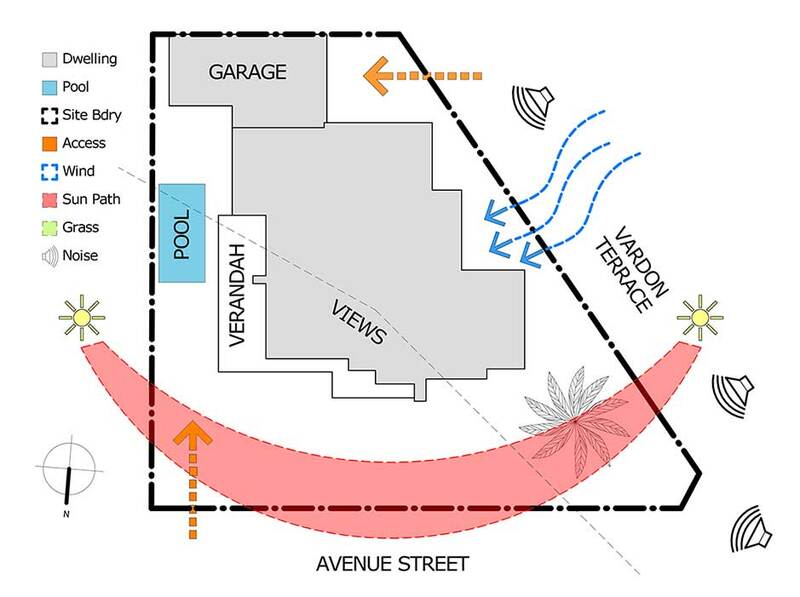 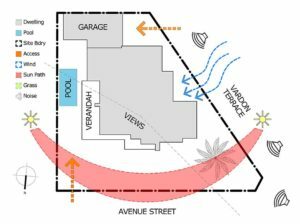 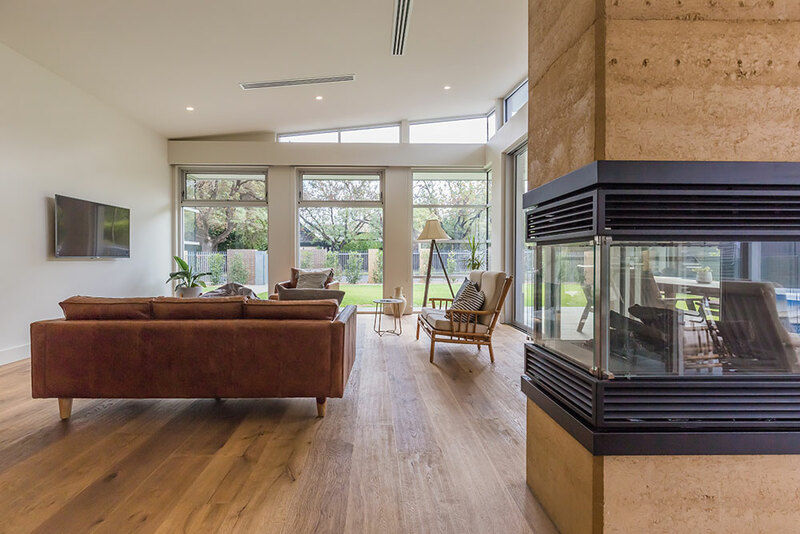 While the highlight windows and large openings promote cross ventilation to passively cool the home. 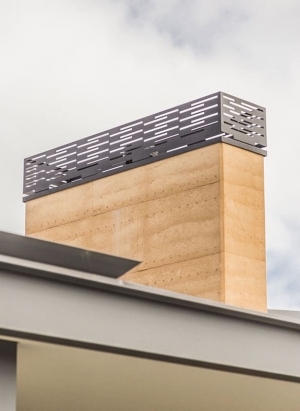 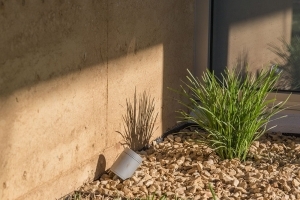 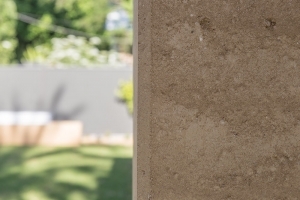 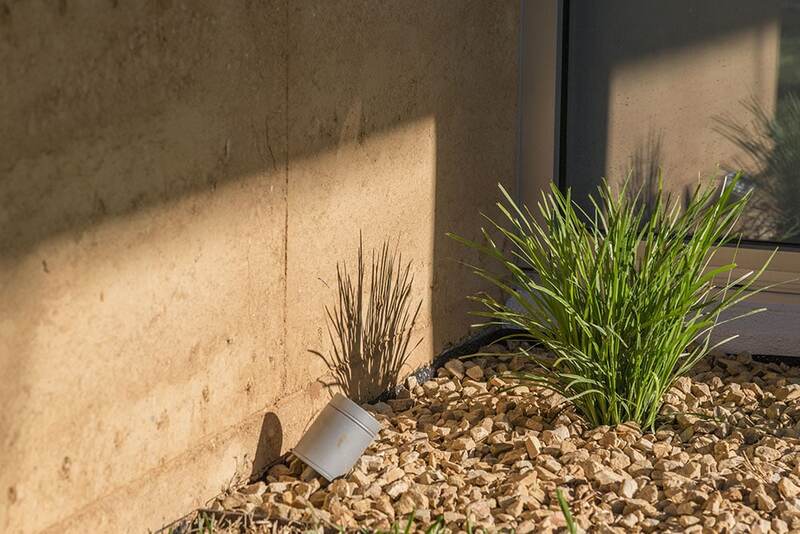 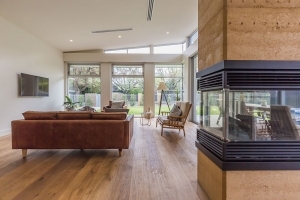 A series of repeating rammed earth piers provide thermal mass which together with the aforementioned environmental considerations reduces the reliance on mechanical heating and cooling systems. The building’s efficiency is further enhanced by the 22,000L underground rainwater tank, 14.575kW solar system, expansive eaves, 75mm roof blanket heavy Earthwool insulation to the ceilings, external and internal walls. 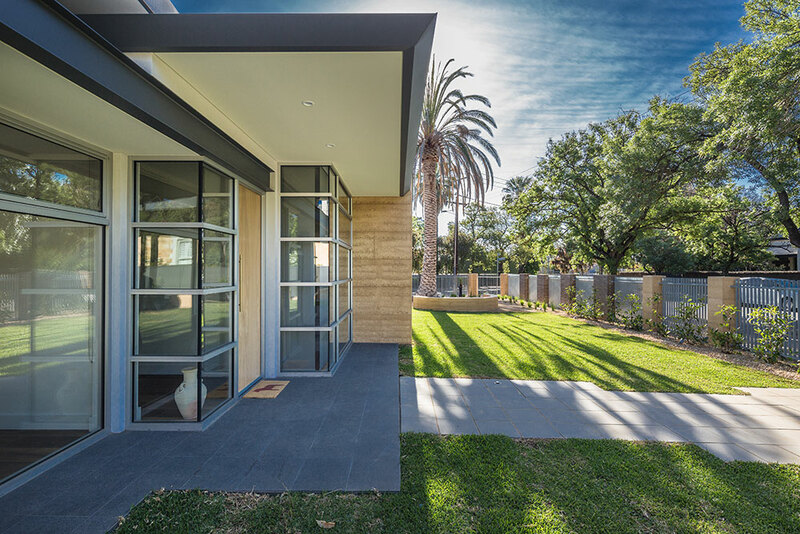 Overall this is a crafted home, exuding innovation, environmental sensitivity and quality workmanship.